I was in Warminster and my car developed a noise from the rear so popped into your local branch, Nathan and mike met me in reception where I had a discussion on what noises were coming from my car, Nathan then carried out a no obligation inspection on my car and found various issues with the rear suspension. They took me round my car and explained what was happening so I was happy to let them carry out the repairs required. No issues going forward fantastic service keep up the good work guys! I booked my tyres on line to be fitted a week later first thing when the branch opened. I arrived and was greeted by friendly staff who welcomed me into the branch. My paper work was already ready to go the order was confirmed I was out and on my way in under 30 minutes. How perfect is that. Great service in Mike's absence. Nathan was very thorough taking me to the car on the ramp and showing the faults as they were with no attention needed at the moment. No pressure selling. I also witnessed him being extremely helpful and patient with a couple of older ladies. Full marks and now you have a new MOT inspector. Couldn't get better. Very knowledgeable and friendly staff. Excellent service. Very good value for money. I received a very professional approach and servicing to my Car at Warminster . The experience and knowledge base was excellent. 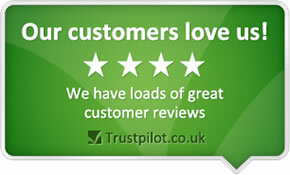 I had amazing service from your company in Warminster, and also in Aylesbury. I was such a pleasure dealing with both branches, and they could not have been more helpful. I will use National Tyres when requiring replacement, and will recommend you to all my friends. A big thank you, well done. Elaine Harris. Very prompt and efficient service. My exhaust needed replacing on a Saturday morning. Following a phone call to Frome, to order the part, the work was carried out in just over an hour. Very impressed with the prompt and polite service received. very professional,had time to go though it all with me ,and explained,to me what i asked ,i would recommend people to this garage ,ps staff very polite . The staff were polite and friendly and explained everything Thoroughly. Nathan was friendly, helpful and informative. Quick and efficient. Efficient way of dealing with phone enquiry for appointment. Easy welcome on arrival and helpful advice about brakes. Speedy and problem free execution of the work. Comfortable reception area where I could work on laptop while job being done. Efficient and courteous service. Convenient to workplace. I've always found the garage very thorough, and efficient. Excellent services, great explanation of faults and willing to find the best deal for you. I have used them on numerous occasions for new tyres and for servicing and they have been consistently pleasant, polite, helpful and efficient. The work is always completed to a high standard and I never walk away feeling I've been overcharged. I have gone there in an emergency before now and they very kindly moved things around to accommodate me. Efficient service and competitive price. Excellent and polite service with a willingness to discuss the problems I had with the car and the best options to take. just can not fault them in any way 1st rate service everytime. knowledgeable, courteous staff for whom the "extra mile" is normal. I recommend the Warminster branch! My brake problem appeared to be no bother to them. They tested and retested until both myself and they were happy that the problem had been resolved. Branch recognised I was a repeat customer. Friendly attitude. Kept to agreed appointment time. Provided technical knowledge to me so better understand work carried out. Helpful, and quick service at reasonable prices. Warminster branch of National Tyres are just terrific. Always. They are polite, speedy, accommodating and go the extra mile for customers. I just wish every company I dealt with as a customer would give me the same level of service. Thanks to Dave (?) or possibly Nathan who dealt with me, and also Mike D'Angelo who normally deals with the car. Top lads. We have always been treated promptly and courteously. Advice has always been excellent as well as stated i our letter to you on a previous occasion. staff were genuinely concerned and very helpful during my visit, they also gave me some useful information regarding the safety of my car. Nathan O'Brien was most helpful with my queries, and gave me a first rate service, I was also impressed with Daniel Packer who did my fitting service leaving my car clean and storing the locking wheel nut tool safely in the glove box. Knowledgeable, experienced and efficient. A good job well done. A good fast, reliable and efficient service with good manners. I always find the guys really helpful, patient and honest! I received excellent service from Nathan O'Brien.He was efficient, friendly and informative.The work was carried out even quicker than he estimated. Peter Earley carried out the fitting.I was impressed by the cost and the consideration given to me. I am a Senior Citizen and everything was explained clearly and carefully to me. I was not patronised. I received excellent service from your staff who went out of their way to sort out the problem of pre ordered tyres not being in stock and then contacting tyre shopper to arrange for the fitting of alternative tyres at their cost. Excellent service from all the staff,always very helpful and friendly. Nothing is too much trouble. I have been using National Tyres for the past 15 years. Well mannered, polite and efficient staff. Was very helpful. Very quick to get me back on the road after getting a puncture. Service has always been friendly and helpful and easily arranged. Courteous, helpful and knowledgeable staff. Always willing to help and advise. Have only had good service on the many occasions I have visited my local Warminster branch. Selecting and ordering tyres was easy online. I was passing the branch 24 hours early with time and my hands and the staff were able to accommodate me and flexible enough to complete the work a day early. Speedy service, accurate information given, good advice imparted, timescales kept to. Service and courtesy were of a very good standard. Professional, friendly, helpful and knowledgeable. needed new exhaust for micra . phoned wed. fitted next day at appt. time. Excellent attitude and service from local manager. Excellent service, on time, professional attitude and advice. the staff where efficient and kept me informed. They are efficient and helpful but I am uncertain about their price competitiveness. Good customer information, kept me informed re the problems encountered. Polite friendly staff. Local depot. Excellent service. Good comms. Very courteous service, kept informed, flexible bookings. Friendly and knowledgable staff, consistent service. Always helpful, always accomodating and flexible to meet customer needs. Professional manner, speed of work and helpful on advice asked. Efficient and courteous service, through there was a slight mis-understanding on the price after the work was completed. Very friendly and efficient service, but above all I have confidence that i am being given an honest assessment of what work actually needs to be done on my car. I was appreciative of the 'phone call I received before work was started to advise me that because of the journey that I intend to take it would be advisable to replace 2 tyres, and that because of the vouchers that I had I was able to take advantage of a special offer. I was happy with the service I received and I liked the fact that I was telephoned with a price before the work was carried out. when i went into the warminster branch i was amazed by the way all the staff here was getting along, it is nice to walk into a garage that feels like it is being ran by a family. i was dealt with by Lauren Perkins, a rare sight to see a young lady in a garage, i was pleased how she offered a range of prices for my front tyres and was at her best interest to save me money, i had the BOGOF avons fitted in no time at all, i was shocked with the speed of service and the quality it was carried out at, i will more then likely be back for mot's and any work that i need carried out for not just my car but my daughter and husband. very please with the end product. when i went into the warminster branch i was amazed by the wat all the staff here was getting along, it is nice to talk into a garage that feels like it is being ran by a family. i was dealt with by Lauren Perkins, a rare sight to see a young lady in a garage, i was please how she offered a range of prices for my front tyres and was at her best interest to save me money, i had the BOGOF avons fitted in no time at all, i was shocked with the speed of service and the quality it was carried out in, i will more then likely be back for mot's and any work that i need carried out for not just my car but my daughter and husband. very please with the end product. Good service. Would appear to be trustworthy i.e. not looking to undertake unnecessary repair work. Very good customer service and gave a very good price. The team at Warminster branch were very professional,helpful and friendly without being patronising which for a female driver is important. Very efficient. No delays. Good service. Trustworthy service - don't feel I will be ripped off!